Grippando has definitely reached a new level with this series entry. . . . One of his best. Booklist (starred review) A young girls murder sets off a grisly cascade of crime, death, and intrigueand sends criminal defense lawyer Jack Swyteck after a sinister group of terrorists on the verge of unleashing chaos across the globe. 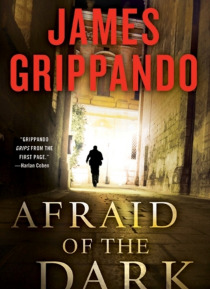 From New York Times bestseller James Grippando, the ninth Jack Swyteck… novel, Afraid of the Darkperfect for fans of Steve Martini, Phillip Margolin, and Jo Nesbois a rollercoaster thrill ride into the very heart of evil.